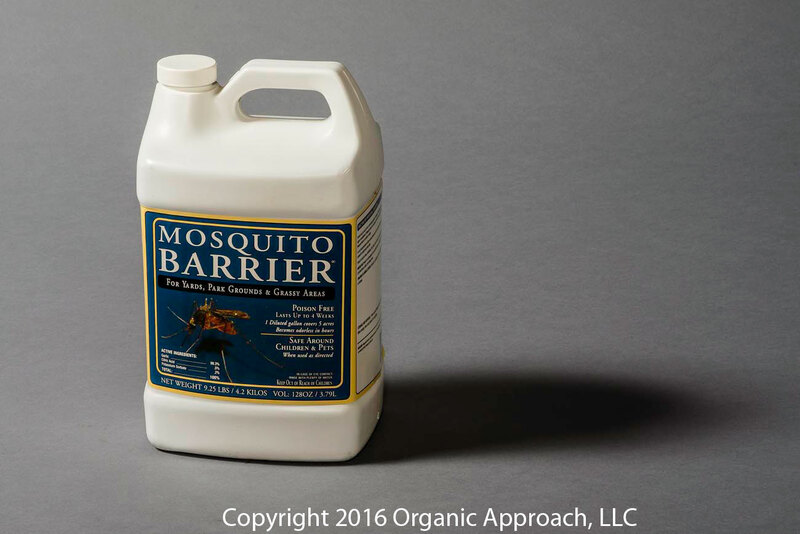 Mosquito Barrier is a very strong liquid garlic extract that mixes with water and is sprayed on plants ad hardscaping to keep mosquitoes away. It can be sprayed on siding, fencing, mulch, awnings, gazebos, etc. The garlic used in Mosquito Barrier is a specialized variety that is significantly more potent than the garlic found in grocery stores. It imparts no garlic taste on garden plants that are sprayed. The odor of garlic in the air after application disappears in about 30 minutes, but mosquitoes can sense it for weeks! It's all natural and allowed for use on certified organic farms.